Commit someone you love to three months of awesome jerky surprises with our Jerky of the Month Club. Each month, your recipient will delight at receiving 4 packages of different jerky. Each of the 4 packs will contain 3.25 ounces of deliciousness, with no preservatives, added MSG, nitrates or other fillers. The price for this amazing taste treat breaks down to just $45.32 per month and shipping is free. A really great gift or just treat yourself. Customize Your Gift! 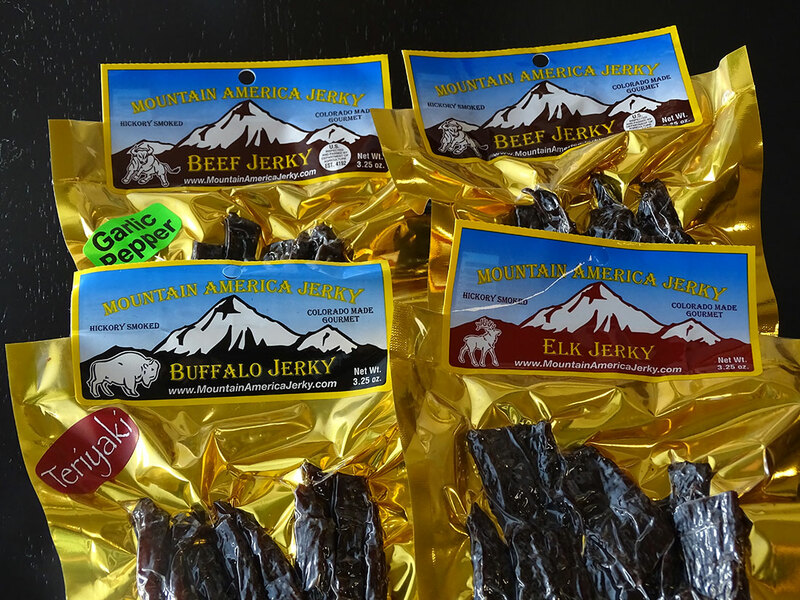 We do accept modifications to the monthly jerky packages, as well as the ability to add months or pay by month. 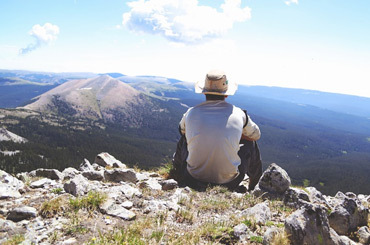 Please call (303) 257-4711 for these options. 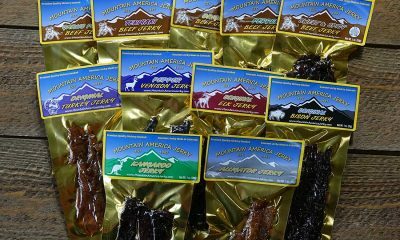 All of our jerky is thick cut, marinated, and hickory smoked daily. 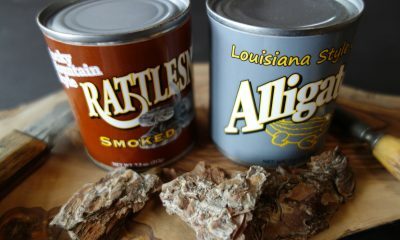 It is preservative-free with no added MSG, nitrates, or other fillers. 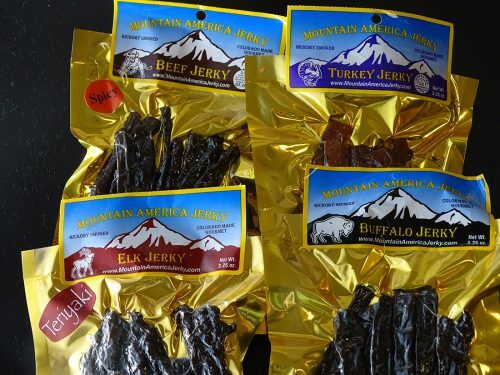 JOTM is a great way to get fresh jerky snacks delivered to your doorstep each month. I got this for my bf for Valentine’s Day and he loved the first months selections! His 2nd month should be arriving any day now! 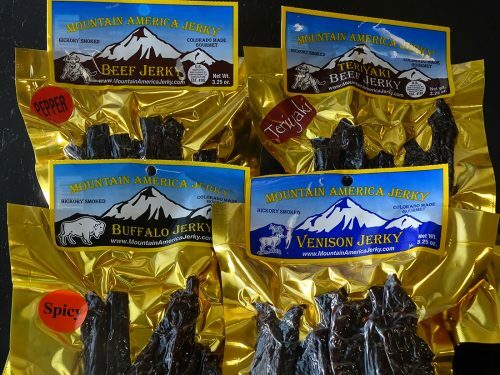 You get a lot of jerky for your buck compared to other sites! Did this for my husband for Valentines Day. He said it was one of the best gifts he has ever received. He is an avid outdoorsman so this was very fitting for him. I highly recommend to any woman that wants to get her man something special. 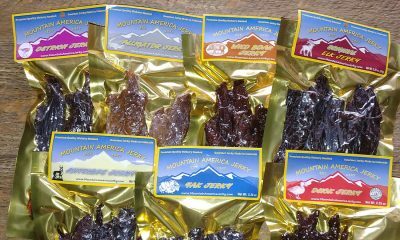 It’s good jerky, not as salty as the comercial jerky, very well made. He likes it! (Teriyaki Buffalo review) The stuff they sell at the convenience store counter doesn’t have a right to be called jerky!